Posted on 12/05/2017No, Really: Muffin Top Fat Can Now Cure Diabetic Ulcers! Posted on 11/06/2012The Wound Is The Smallest It's Ever Been!!! ?Will medication heal my wound? ?How can a diabetic foot ulcer be prevented? ?What is a foot ulcer? just released a new tool in the battle against diabetic ulcers, the SurroSense RX monitor. The design has been in the works for quite some time, but apparently the kinks have now been worked out and the new design is more user friendly. 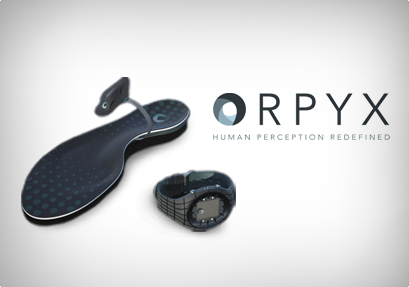 Here’s how the sensor works, in a nutshell: You put a wireless insert in your shoe (the sensor comes in size 5-13 for men and size 6-12) called a shoe-pod, and it collects data about where you’re putting pressure on your feet. Once that data has been collected, it’s sent to a watch included in the system over a wireless ANT + connection. Alerts show up on the watch when, for example, you’re putting too much pressure on your heels (which can lead to foot numbness) so you can see your Houston podiatrist and discuss options to prevent further problems. The system also comes with downloads for smart phones, which give you access to an online tracking portal. The phone apps only track your data over time, but never give alerts, since the system manufacturers think people ignore updates from their phones more than alerts coming from a watch. I’m all for any tool that can help my diabetic patients maintain their foot health, but I’m also not about to tell everyone that they need to shell out a ton of money for a monitoring system. If you have diabetes, you can perform your own daily foot checks and schedule regular appointments with your podiatrist. Of course, I’m not discounting the importance of assistive tools, but I believe that you and I working together are the best preventative tool we have. If you have diabetes in Houston, schedule an appointment with Dr. Andrew Schneider to establish a baseline picture of your foot health. At your appointment, we’ll discuss the best way to maintain your foot health in between visits.